Cost to repair countertops varies greatly by region (and even by zip code). Get free estimates from kitchen designers in your city. Cost to repair countertops varies greatly by region (and even by zip code). The average cost of repairing countertops is $400 - $650​. Your kitchen countertop gets a lot of use every day and this wear and tear can begin to show after a while. There are several ways your countertop can be damaged, leading to the need for repairs: canned goods may fall on it, you may have forgotten to use a cutting board, a hot pot may burn it, or just everyday life may take its toll. Some counters may also have areas that “fail” over time, such as a fissure showing up in a natural granite counter or a seam 1 popping in a solid surface counter. Repair of the countertop is critical as you want to prevent bacteria and mold from growing in the crack, chip, or dent. A damaged counter can also lower the value of your kitchen, so taking care of the repair in a timely way is generally warranted. Factors affecting the cost of repair are varied, including the location of the damage, the type of material your counter is made from, and the type of damage itself. Most homeowners find that the cost to repair minor damage to their counters costs around $400-$650 on average. 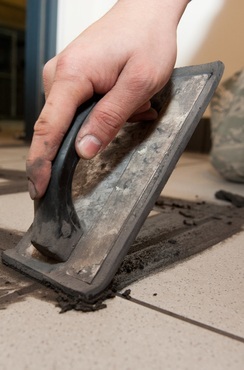 In some cases, you can repair the countertop and save some money. There may be times, however, when you will need to replace the countertop at a greater expense, due to more widespread or severe damage. A total replacement of 40 square feet will cost more ($500-$1500) and take longer, about two to three weeks from the time you initiate the replacement to the time it takes to install. This includes choosing the material, having measurements taken, developing a template to fit your appliances, and finding a contractor. Once the material is in hand the installation itself will go quickly, about 1-2 days. Widespread damage, meaning more than one area of damage or damage that occurs over more than 50% of the counter will require a replacement. Post-formed laminates that cannot be fixed with paint will also require replacement, as will melted solid surface counters, or severely stained marble counters. Countertops are made of a variety materials and each one will have its own particular repair suggestions. Here are some of the most popular materials and their repair specifics. Solid surface counters are made of plastic; their most common problems are scratches, gouges, melted areas, and failed seams 1. Laminate is a thin layer applied to an MDF base. It has a tendency to delaminate over time, as well as scratch. It can be painted to give it a new look, or a new layer can be applied over the old. Tile counters are most commonly affected by problems with the grout 3 chipping loose, although the tiles themselves may come loose or chip, requiring replacement. Stone counters may have a small pit or fissure appear from a natural seam 1 within the stone showing up after use. These can be filled with epoxy 2. Sometimes the seam 1 between two pieces may also fail, and need to be filled. Wood counters may be scratched or stained over time. They can be sanded 4 down and refinished to give them a new look. Countertop professionals charge between $35-$85 per hour. This process could take hours to days, depending on the level of repair needed. For example, replacing a few damaged tiles may only take 5-6 hours ($210-$510), while repairing chipped stone could take 1 to 2 days and cost from $200-$1,250 depending on the extent of the damage. Countertop polishing: there are various polishes and compounds one can use to polish countertops. Make sure you buy the proper product for your countertop. Granite will use something different than concrete or tile and vice versa. The price for these products can range from $10-$100. Some counters will require professional polishing to ensure the outcome you require. This will cost an additional $35 to $85 an hour, usually for 2 to 3 hours work. Countertop painting: the labor for a painter is $20-$35 per hour. Painting a countertop should take about 3-4 hours after it is taped off and ready. Countertop repair is a job for the professional. Your countertop gets a lot of use, and any repairs should be made to last. Any sort of polishing, gluing, filling, or relaminating should be done by a professional with the proper training and equipment. Warranties: Your counter may be covered by a warranty that can cover the cost of some repairs, if those damages are caused by either a failure of the material or the labor. Check with the original manufacturer/installer to find out before you pay for repair work to be done. In addition, some contractors will give you a warranty on the repair itself for a certain amount of time. For example, if you have a seam 1 repaired in a stone counter, the fabricator may warranty the seam 1 for an additional year. Always ask up front about warranties, and get them in writing to back them up. 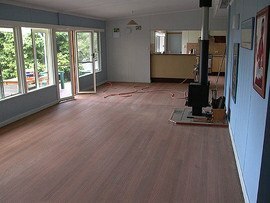 How do you repair laminate flooring? In most cases, to repair laminate, you will remove the baseboard and unclick the boards to the damaged piece. Replace the damaged board, then reinstall the rest of the floor and baseboard. How do you repair laminate countertops? 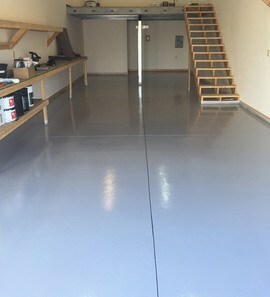 Laminate can be repaired either by coating the entire surface with epoxy paint, or by giving the top a new laminate layer. How do you get scratches out of Formica? The best way to get scratches out of Formica would be to paint the surface with epoxy paint, sealing them in. How do you replace laminate countertops? Most laminates are screwed down to the counters. Locate the screws, undo them and lift off the old counter. Screw the new one into place. The average cost of a new countertop can range from $500 to $1,500, depending on material. Can a laminate countertop be repaired? Yes, laminates can be repaired by painting or giving the counter a new laminate layer. Yes, chips and fissures can be filled with a color-matched epoxy that cures to a smooth finish. 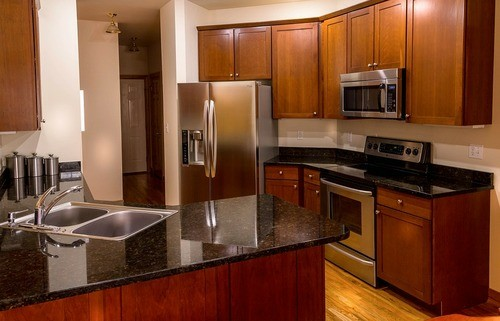 How much does it cost to install laminate countertops? The cost of laminate counters runs $10-$40 per linear foot installed. How much does it cost to repair countertops in my city? Cost to repair countertops varies greatly by region (and even by zip code). To get free estimates from local contractors, please indicate yours.